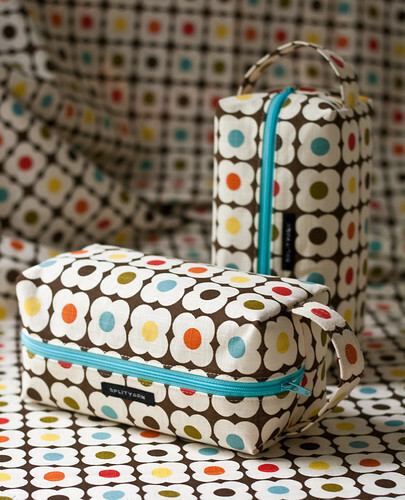 New boxbags are now up in the splityarn shop! The Orla Kiely Abacus Flowers sold out in four (!!) minutes, but there are still heaps of others to go choose from. I'm going to try and whip up a few more of the Orlas this week, but I'm going to be sneaky about it and add them to the shop at random times. Keep your eye on the shop RSS feed if you're not following me on Twitter to catch one. I love the Neopolitan print! I just purchased the Neopolitan print! Loved the Morning Mist (in both colors), but was already sold out. I'm excited to get this bag, as I don't have anything like it. Thank you - they really have a professional look to them. You do SUCH a fabulous job making those! They look great! Where, oh where did you find that fabulous Orla fabric? 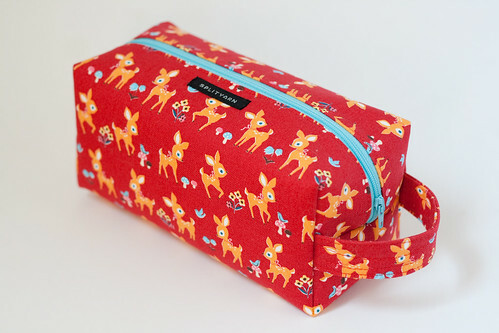 So stinking cute, and such lovely stitching on your pouches. Love, love, love them. wow, love the orla bags! i'm not surprised they sold out so quickly!